Canterbury is a small medieval city and located approximately 55 miles southeast of London. The coastal towns of Herne Bay and Whitstable are only 6 miles to the north and Faversham is 8 miles to the northwest. Nearby villages include Rough Common, Sturry and Tyler Hill. The world famous Canterbury Cathedral is one of the oldest Christian structures in England and forms part of a World Heritage Site. 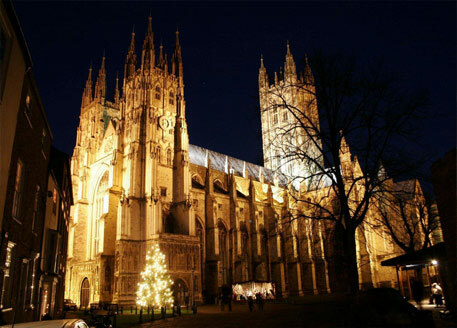 It is the cathedral of the Archbishop of Canterbury, leader of the Church of England. Canterbury has three universities; Canterbury oozes student appeal and offers a mix of ancient architecture, busy bookshops and comfy cafes, together with vibrant nightlife, art galleries and great shopping. As one of the safest university cities in the UK, Canterbury is well placed to welcome students from all over the world, with over 30,000 living and learning here each year. Canterbury’s location means that London and Europe are within easy reach and a visit to the beautiful coastline is just a short drive away. The St Lawrence cricket ground is the home of Kent County Cricket Club and is one of the oldest cricket grounds on which first-class cricket is played, having been in use since 1847. The St Lawrence cricket ground is one of the two grounds used regularly for first-class cricket that with the main attraction having a tree within the boundary. Canterbury Hockey Club was established in 1901 and is a field hockey club and is located just outside Canterbury at Polo Farm, where there are two water-based pitches and a sand based pitch. The heritage of Canterbury and the fantastic location being close to the city of London and only a short drive to the coast makes this a popular destination for both visitors and residents making this a property hot bed with a proven track record with regards to capital appreciation, making property investment in Canterbury a great opportunity.